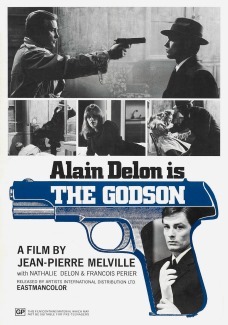 Long considered a classic of European film noir, this existential gangster drama from French director Jean-Pierre Melville was released in the United States only in a severely truncated, re-edited, and overdubbed version entitled The Godson. 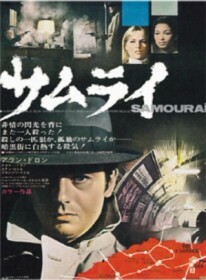 Thirty years after its initial public airing, Le Samourai (1967) finally saw a limited American release in its intended form. 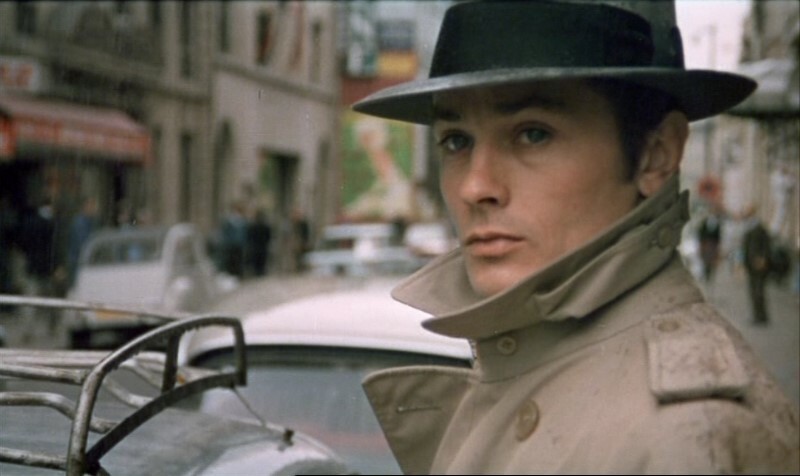 Alain Delon stars as Jef Costello, a professional Parisian assassin-for-hire who, by nature of his work's solitary demands, has no friends. 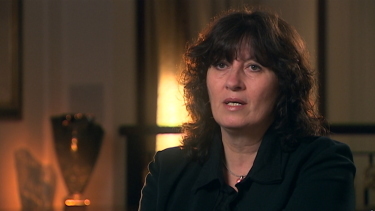 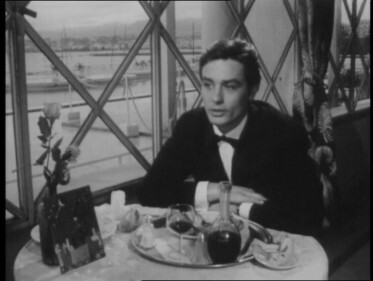 Although he is loved by Jane Lagrange (Natalie Delon, the star's real-life wife), Costello knows that Jane already has a lover. 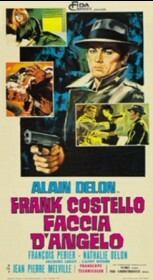 After he successfully wipes out a nightclub owner at the behest of his boss, Costello discovers that he was seen by the club's pianist, Valerie (Cathy Rosier). 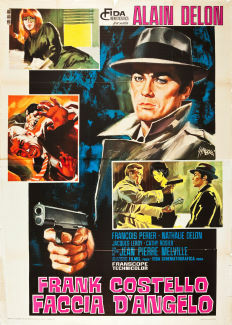 Although he survives a police lineup thanks to a lie offered up by the fearless Valerie, Costello's alibi disintegrates rapidly and his shadowy employer takes out a contract on him. 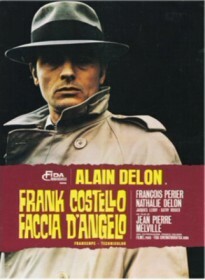 As he seeks revenge on his betrayer, Costello must also stay one step ahead of a wily, determined superintendent (Francois Perier). 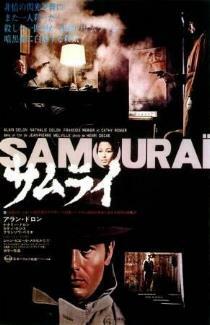 Melville's film influenced several other filmmakers and projects, most notably director John Woo's The Killer (1989). 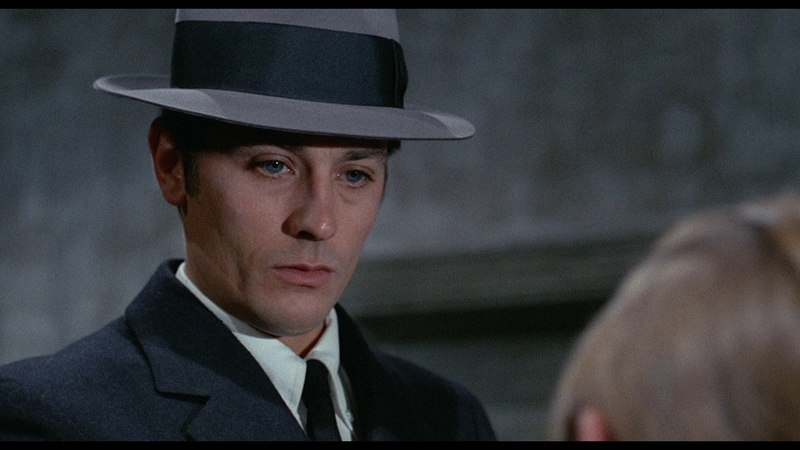 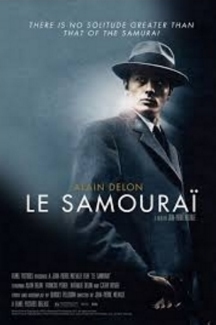 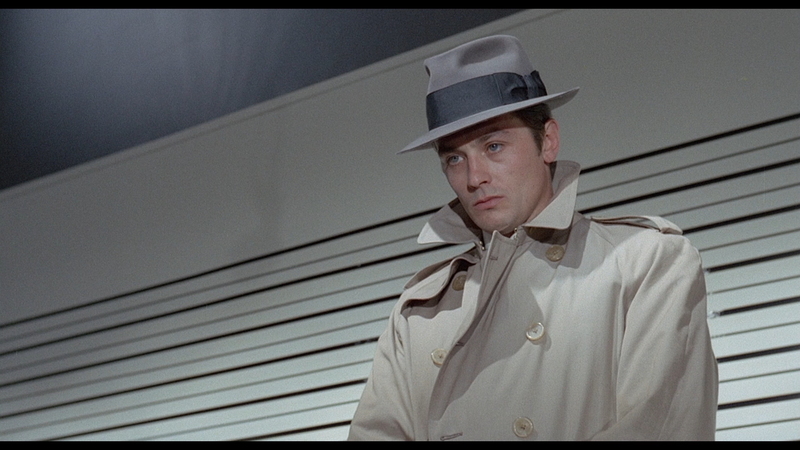 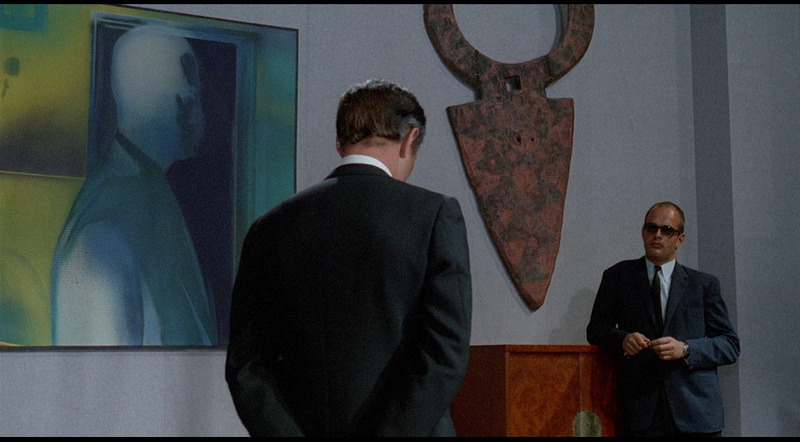 In a career-defining performance, Alain Delon plays a contract killer with samurai instincts. 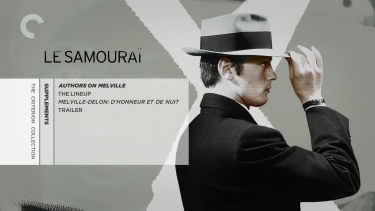 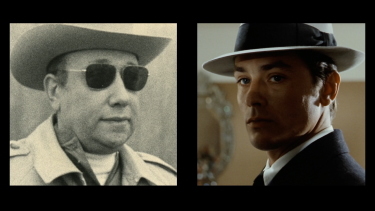 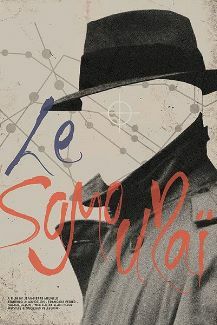 A razor-sharp cocktail of 1940s American gangster cinema and 1960s French pop culture—with a liberal dose of Japanese lone-warrior mythology—maverick director Jean-Pierre Melville’s masterpiece Le Samouraï defines cool. 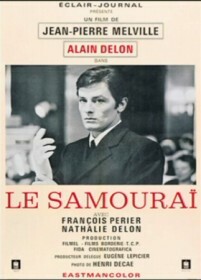 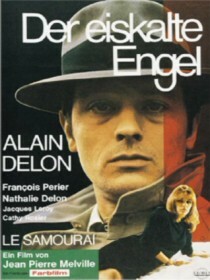 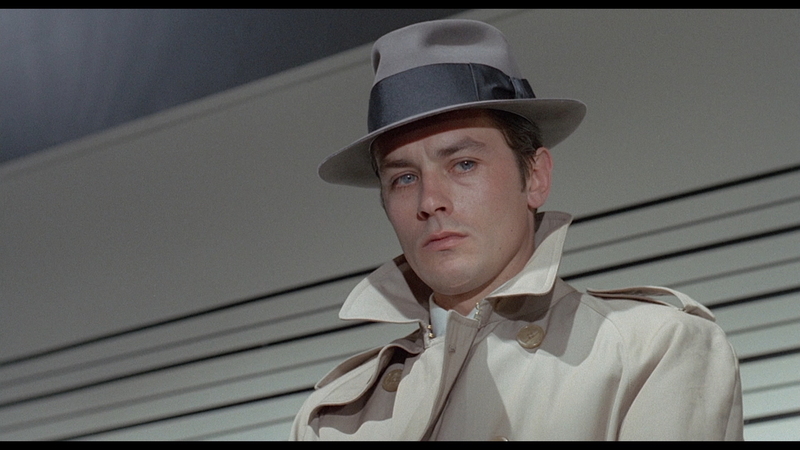 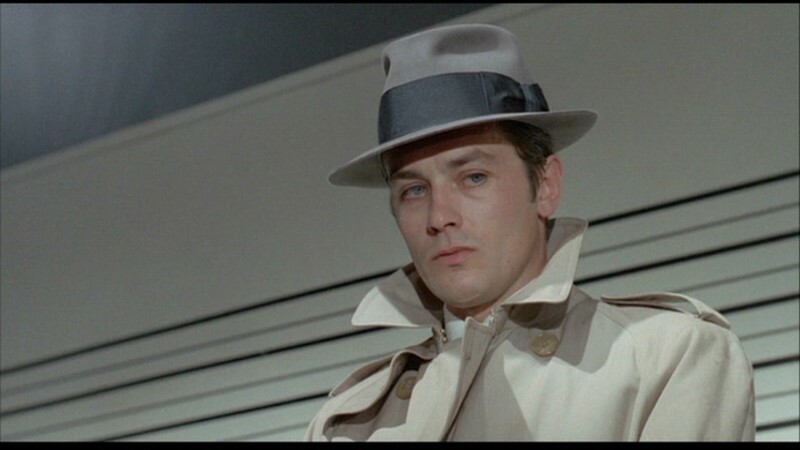 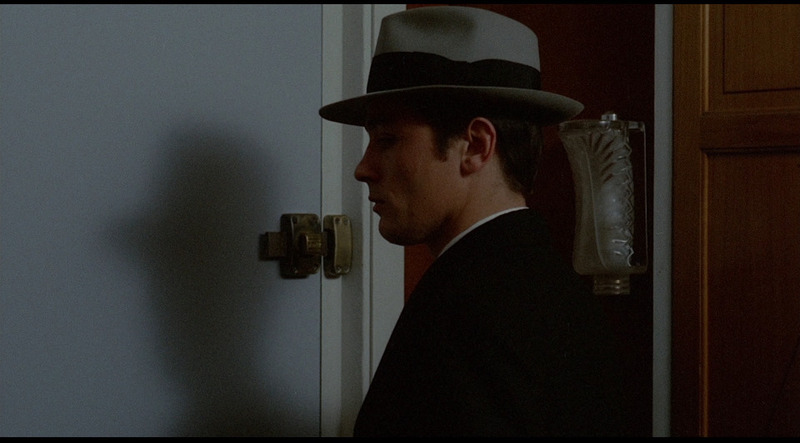 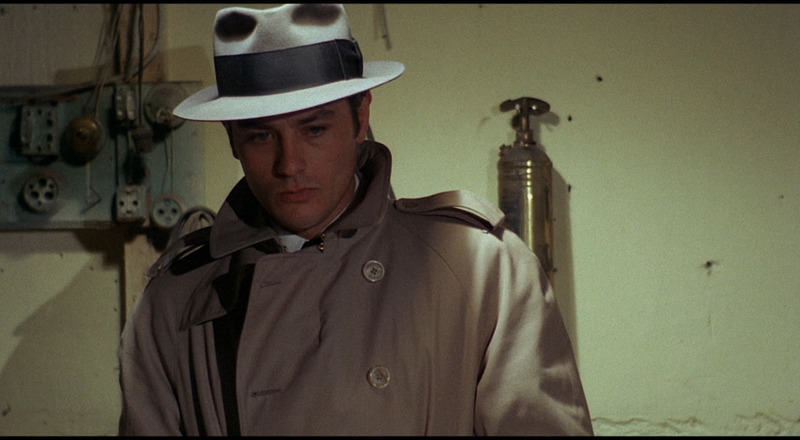 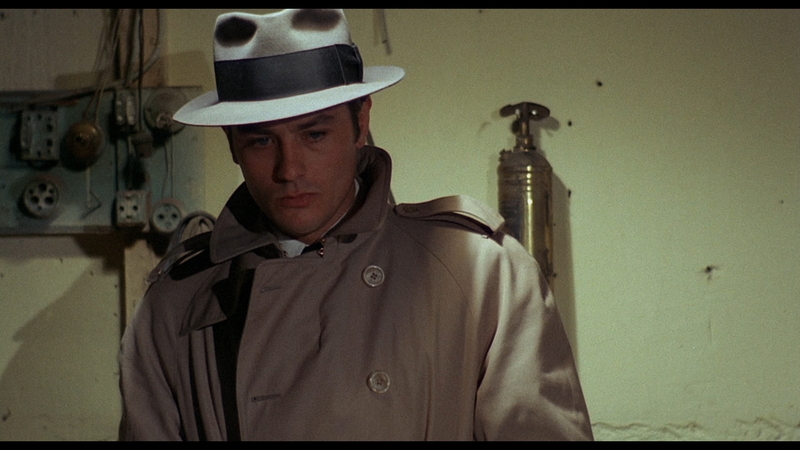 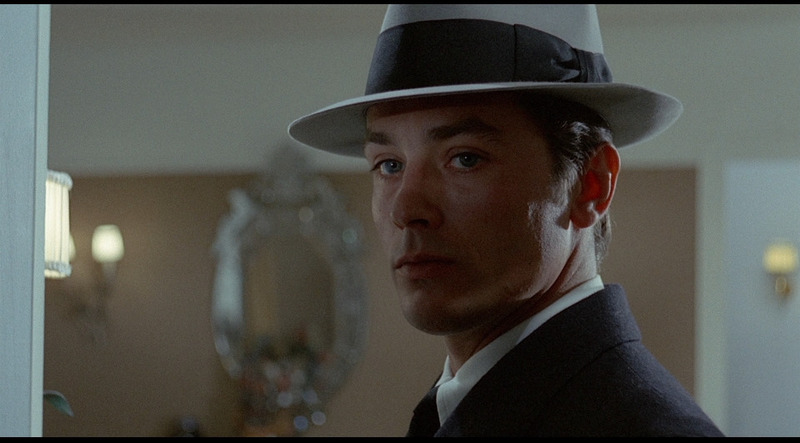 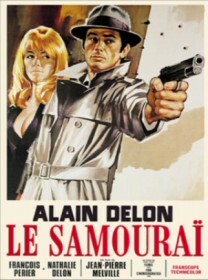 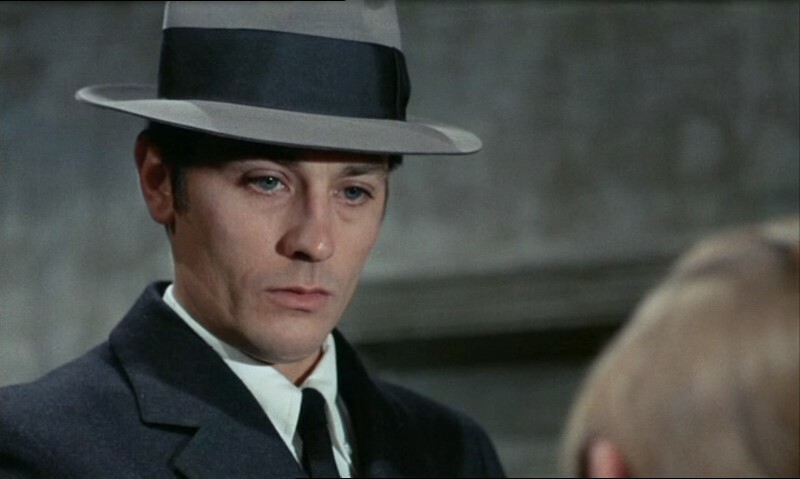 In a career-defining performance, Alain Delon plays Jef Costello, a contract killer with samurai instincts. 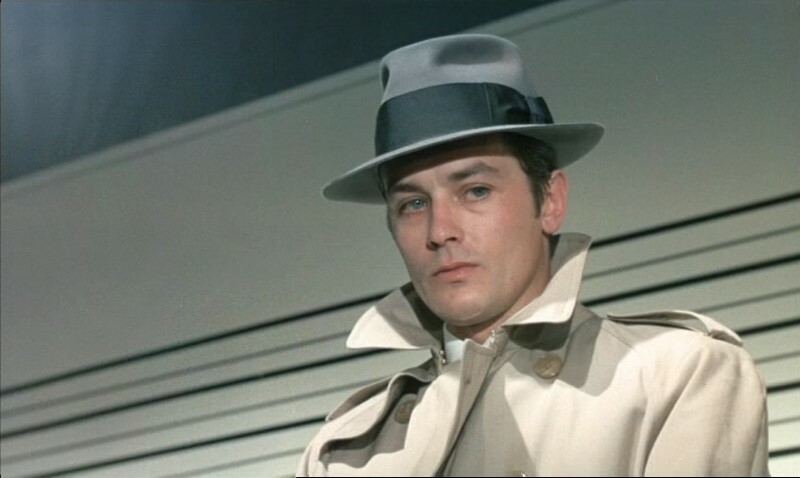 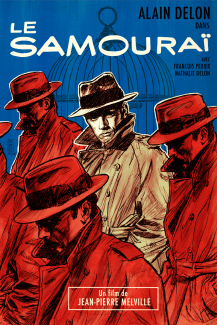 After carrying out a flawlessly planned hit, Jef finds himself caught between a persistent police investigator and a ruthless employer, and not even his armor of fedora and trench coat can protect him. 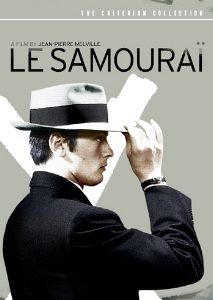 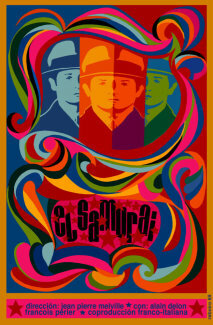 An elegantly stylized masterpiece of cool by maverick director Jean-Pierre Melville, Le samouraï is a razor-sharp cocktail of 1940s American gangster cinema and 1960s French pop culture—with a liberal dose of Japanese lone-warrior mythology. 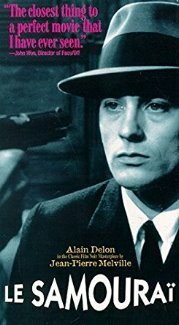 ADDITION: Criterion - Region 'A' - Blu-ray October 2017: The Criterion is cited as a "New high-definition digital restoration." It's very evident to see the improvements in the, below, screen captures - notably in detail, contrast and depth exported by the 1080P. 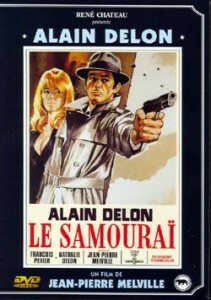 The Criterion is on a dual-layered disc with a max'ed out bitrate. It's a significant leap above the SD transfers of more than a decade ago. 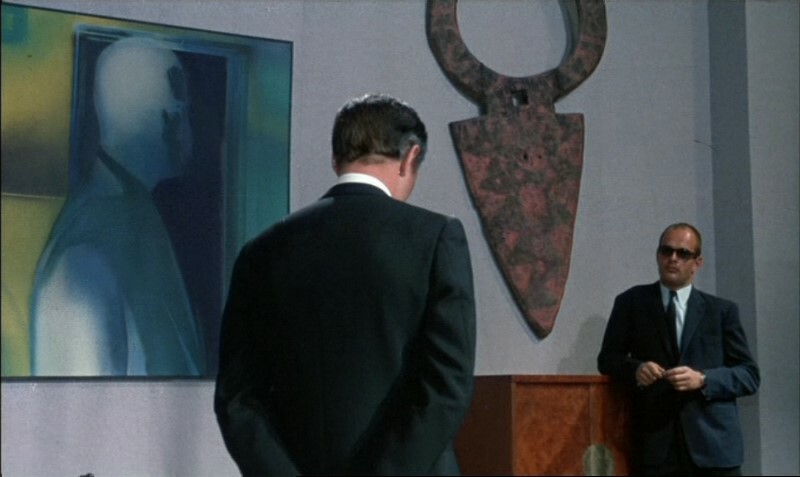 Again, virtually a 'new' appearance - such a pleasure. NOTE: There is, of course, a French Blu-ray, from Pâthé HERE... but, unfortunately it has no English subtitle options and no reason to compare. 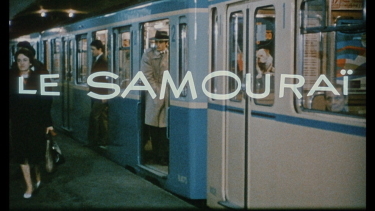 For the audio, Criterion remain faithful with a linear PCM mono track (24-bit) in the original French language, There are effects, that come through flat but carry some surprising depth. 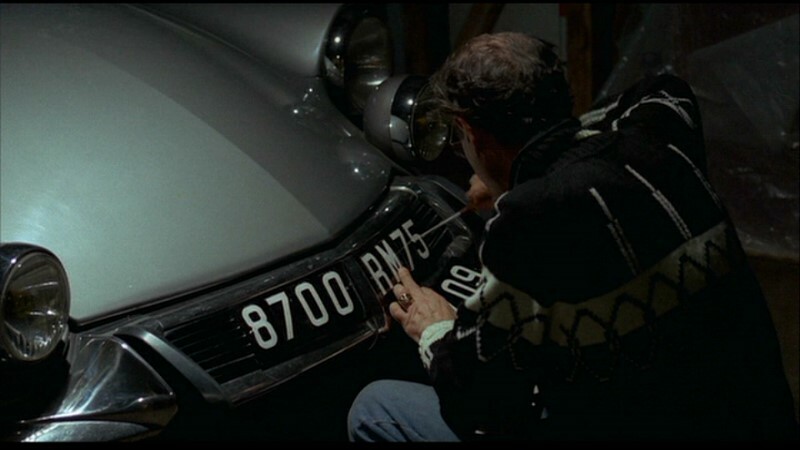 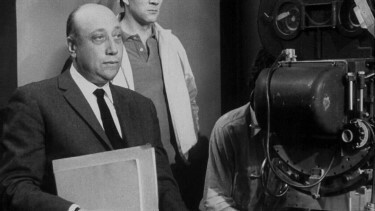 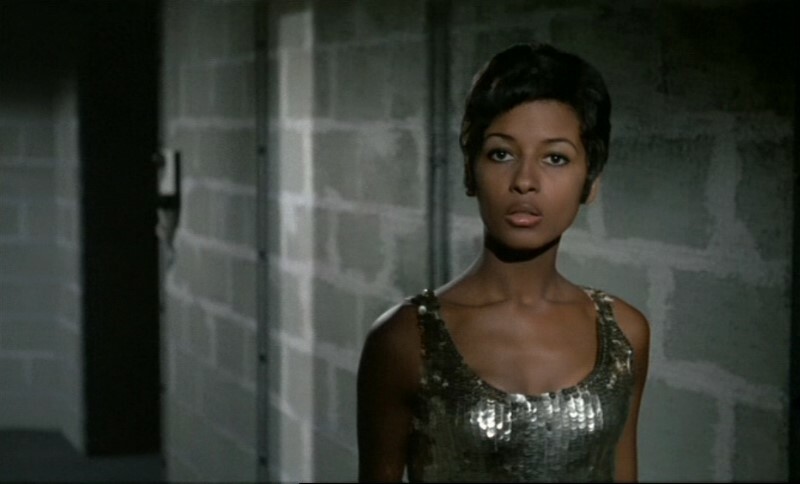 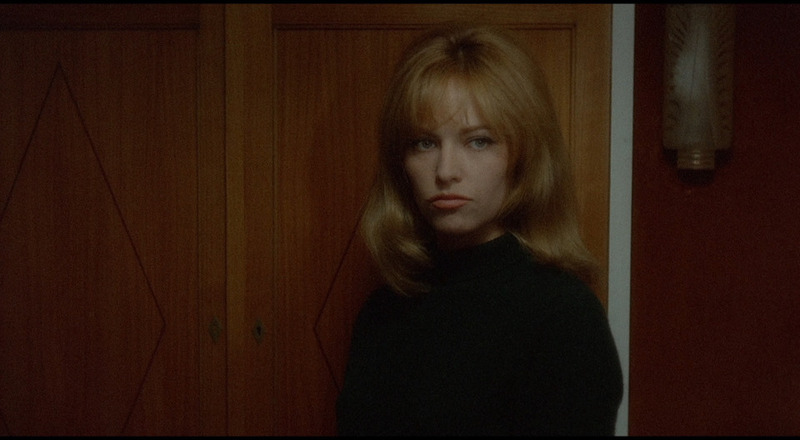 The score is by François de Roubaix (Daughters of Darkness, La Haine.) 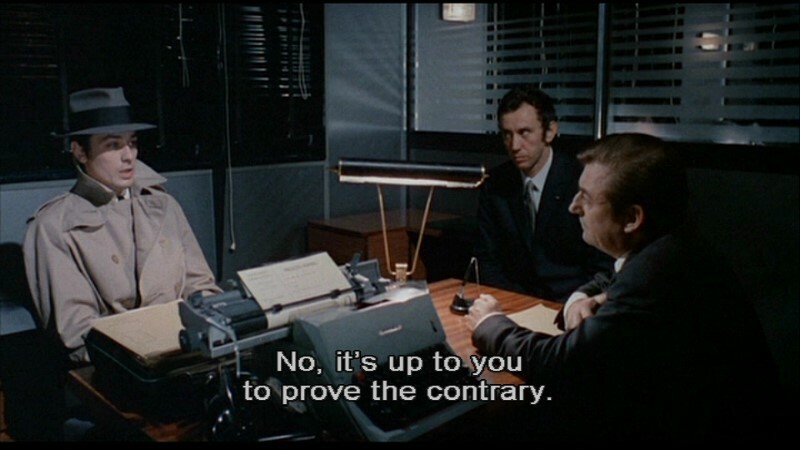 It supports the atmosphere perfectly. 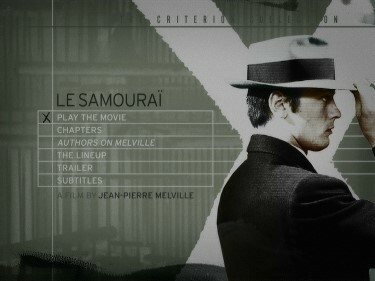 There are optional English subtitles (see sample below) on the Region 'A'-locked Blu-ray disc. 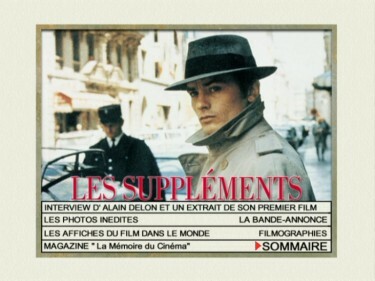 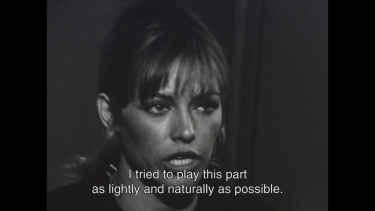 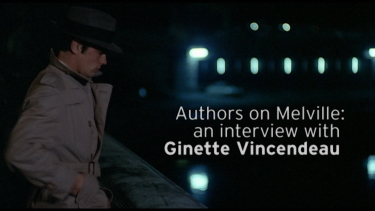 Supplements duplicate Criterion's 2005 DVD with the interviews with Rui Nogueira, editor of Melville on Melville, and Ginette Vincendeau, author of Jean-Pierre Melville: An American in Paris as well as the 24-minutes worth of archival interviews with Melville and actors Alain Delon, François Périer, Nathalie Delon, and Cathy Rosier originally broadcast on French television from 1967-82. 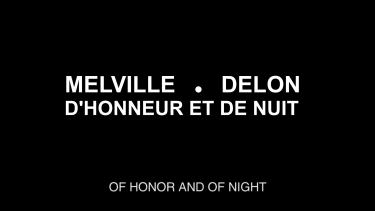 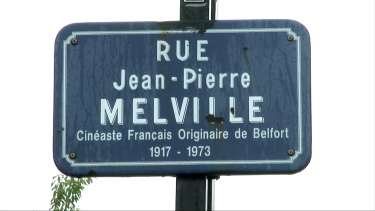 New is the 23-minute video piece Melville-Delon: D’honneur et de nuit (2011), a short documentary exploring the friendship between the director and the actor and their iconic collaboration on this film. 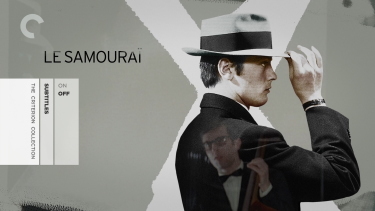 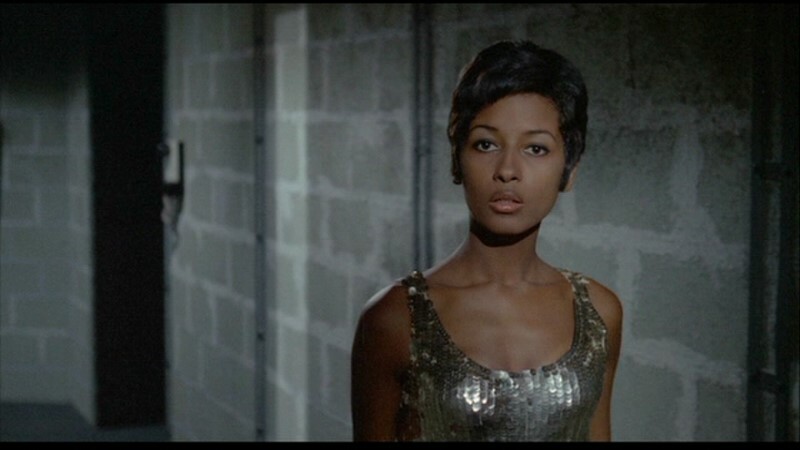 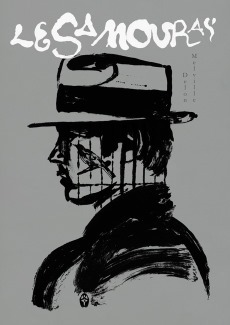 It is directed by Oliver Bohler and explores their work in Le Samourai and features interviews with Melville's nephews Laurent Grousset and Remy Grumbach, critic Rui Nogueira and filmmaker Volker Schlondorff. 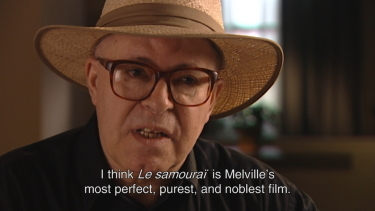 There is also a trailer and the duplicate liner notes with the essay by film scholar David Thomson, an appreciation by filmmaker John Woo, and excerpts from Melville on Melville. 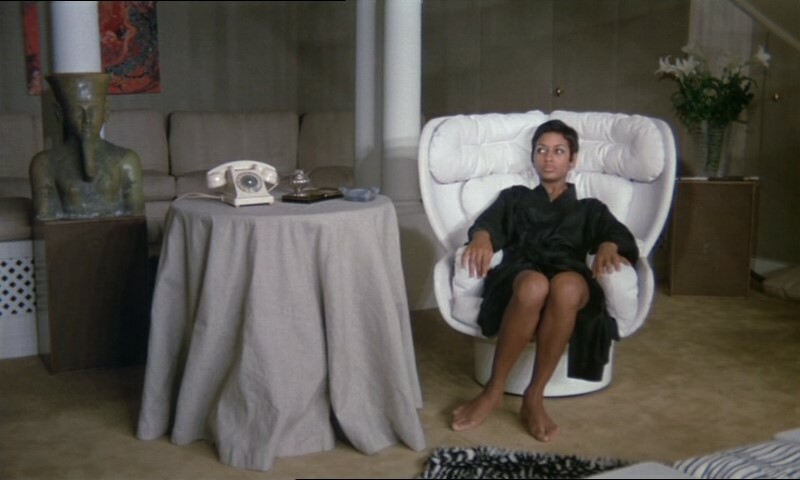 What can we say - the film deserves to be on our Desert Island list - and will probably return in the new format. 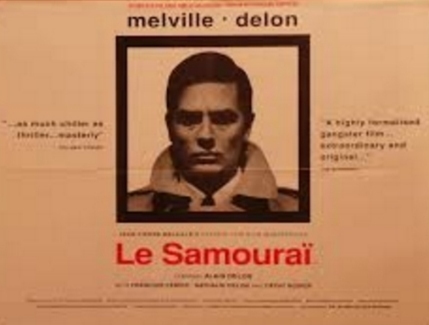 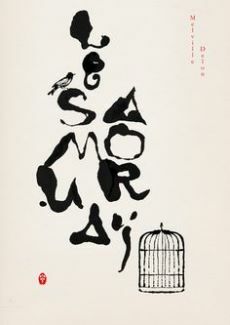 Toooo good... immerse your self in the world of Melville and you may never return. 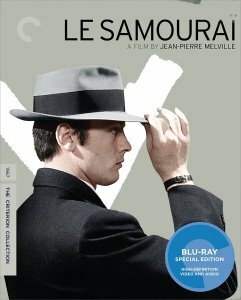 Magnificent beyond words - this has Blu-ray our highest recommendation. 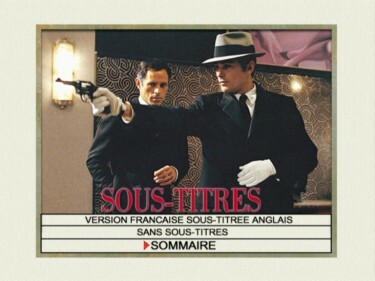 ADDITION: Criterion - NTSC - November 05': Well, I always thought this film's original aspect ratio was 1.66 - the René Chateau DVD image is exactly 1.66:1. Criterion advertises 'presented in its original aspect ratio of 1.85:1' - theirs is about 1.83:1. I don't see any chopped heads and only minor (and seemingly inconsequential) information appears removed at times from the sides and tops - and it is not consistent. 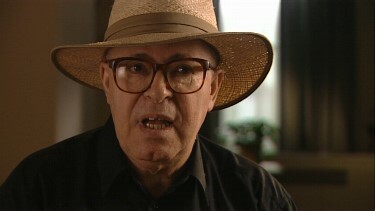 A combination of opening-up, zooming, cropping and vertical (or horizontal) stretching or compressing has taken place. 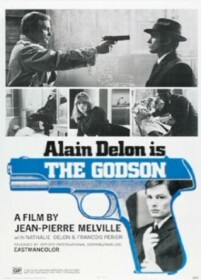 Generally the Criterion shows more information on the sides and less on the top and bottom. 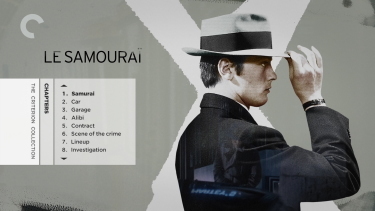 I don't consider either DVD image to be violently affecting the film expression so lets just drop that issue for the moment. 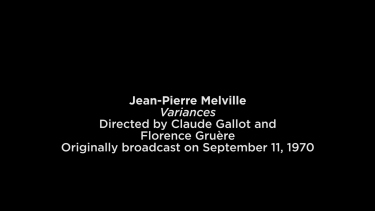 I suspect both transfers may be culprits in some minor ratio manipulations although overall the Criterion is displaying more information. 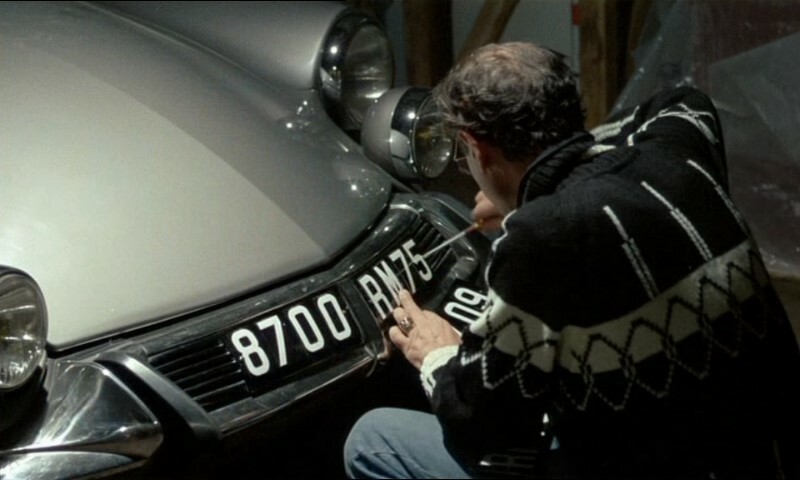 The René Chateau is brighter than the Criterion and many colors are different (see the car when the license plates is being changed as one example). It is impossible for me to determine which is more correct at this time. The DVDs look equally sharp and crisp - with the Criterion being a minute notch ahead. 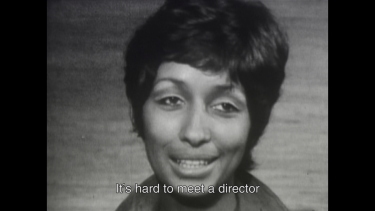 Subtitle translations are occasionally different. I suspect that the Criterion are more literally accurate, but the René Chateau more figuratively translated. 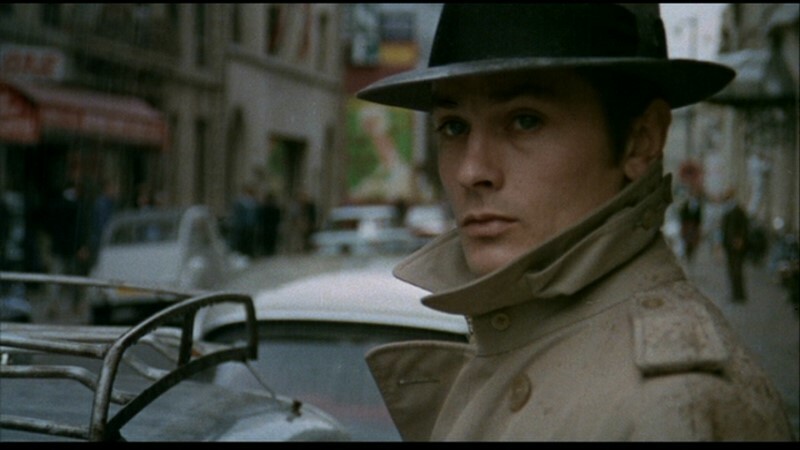 Neither have a bearing on extravagantly adjusting the inference of the films narrative. 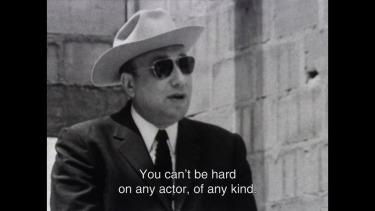 The Criterion subtitles are small and less intrusive - both issues they are optional. 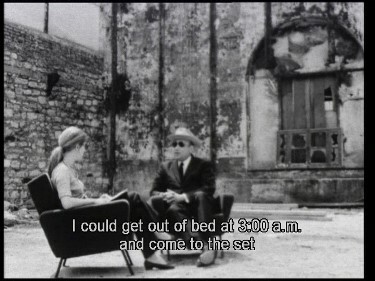 Extras, of course, go the way of Criterion. 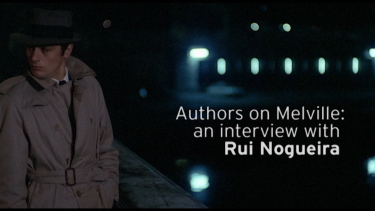 I particularly enjoyed the archival interviews. 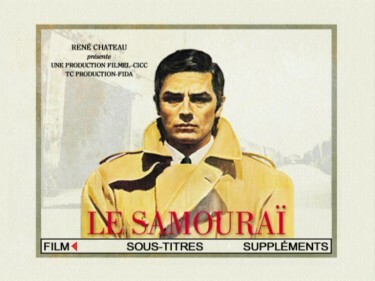 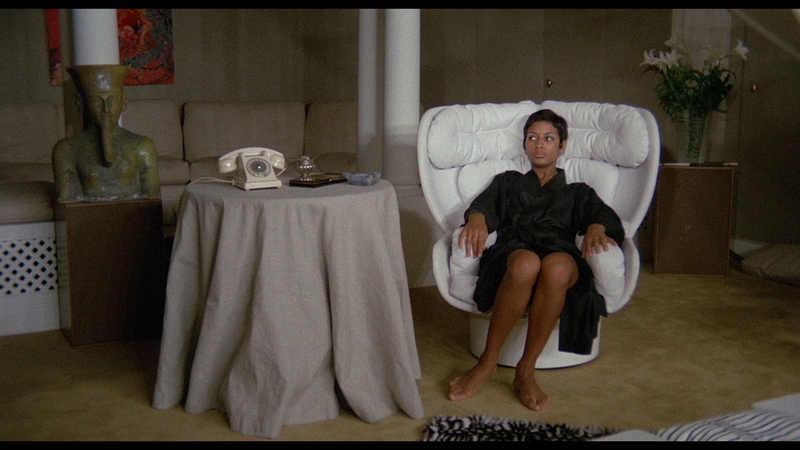 The René Chateau's supplements are in French with no subtitles offered. 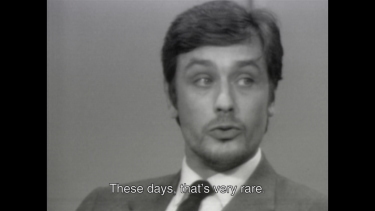 BOTTOM LINE: The René Chateau has been a rare bird for a while and the Criterion is in their lower price point. 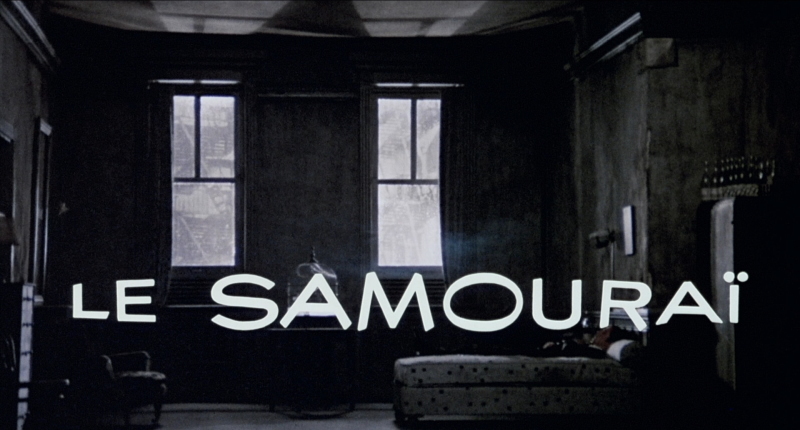 We rate this film extremely highly here at DVDBeaver and accept both presentations as being very worthy of any personal DVD library. 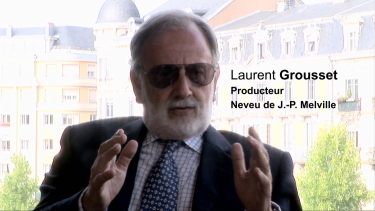 Both are progressive, anamorphic and very sharp. 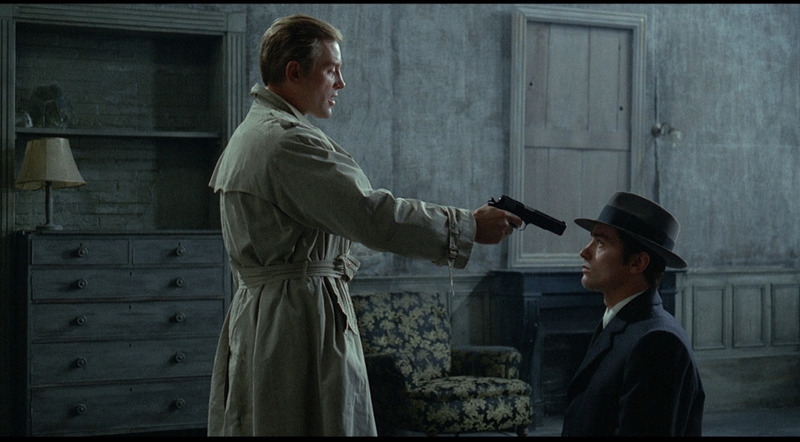 Forced to choose we go with the Criterion in most categories.